Sentebale, a charity founded by Prince Harry and Prince Seeiso of Lesotho, is campaigning to reduce the stigma by those affected by HIV in “Feel No Shame”, an integrated advertising campaign. World AIDS Day was presented as a day that no one feels any shame about their secrets, in support of children in Lesotho who feel too ashamed to tell anyone they have HIV. 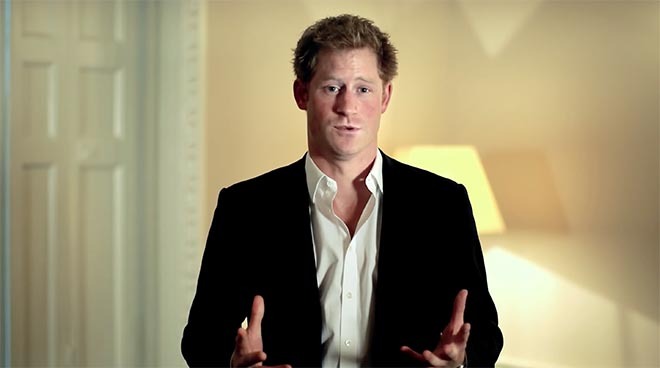 Prince Harry began the campaign by talking about his secret fear of appearing in a suit in public, and asked members of the public to tweet their secrets to the hashtag #feelnoshame. The campaign is hosted online at feelnoshame.today and includes further videos by Paloma Faith, Louis Smith, Joss Stone, Billy Gardell, Nicole Scherzinger, Ricky the Hatman Hatton, Gemma Arterton, Matthew Lewis, Christian Erikson, Valentine Warner, Luke Franks, Laura Aikman, Scott Hoatson, Nabil Bentaleb, Natalie Pinkham, Di Dougherty, Zoe Hardman, Laura Main, Anthony Cotton, Jools Holland, Charlie Boorman, Will Greenwood, Sam Strike, Daniel Ricciardo, Xenia Tchoumitcheva, David Schneider, Ralf Little, Julie Graham. The Sentebale Feel No Shame campaign was developed at CHI & Partners by executive creative director Jonathan Burley, creatives Colin Smith and Angus Vine, account director Emily Brownlow. Media was handled at M/SIX by planners Marc Caulfield and Rob Yeo. Filming was shot by director Liam Maguire via Boxkik. Interactive work was done by Visual Voice.